Online companies are quickly discovering the significant impact content creation has on the success of their business. Content includes everything from the text they use on their main webpages to the videos and articles that are posted on various social media sites and blogs. It is a businesses best opportunity to connect with potential leads and establish themselves as an authority in their field. Recent studies have shown that 73% of consumers prefer to receive information about a company in the form of helpful articles instead of traditional advertising. In the same study, 61% of consumers say that they are more likely to purchase from a company that deliver high-quality and informative content than one that doesn’t share online content. The content on your website, blogs, and social media networks should be used to demonstrate your expertise and establish brand authority. If you are the first source to announce a revolutionary breakthrough or your content consistently provides visitors with reliable answers to their important questions, they will be more likely to regularly follow your blogs and social profiles. It will also build trust in your company’s expertise. If you capture someone attention with a great headline and then follow it up with valuable information, it can create a lasting connection with a loyal follower. Content created by a content creation specialist will be specifically designed to trigger a real emotional connection. If a individual believes a company’s content helped them resolve a personal issue it will create a lasting relationship and brand loyalty. Compelling content inspires participation. 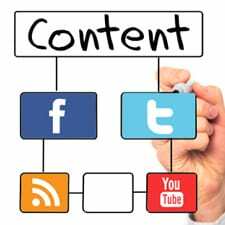 Content creation specialists will produce content that grabs visitor’s attention and encourages them to comment or share the information with others. The more your content is passed around, the greater opportunity there is to generate new leads. High-quality content written by a professional content creation specialist will appeal to both online visitors and search engines. Using the right keywords and phrases, establishing relevant and credible links within the content, and consistently posting helpful content will ultimately boost your search engine ranking. Consumers prefer reading content over traditional advertising, it establishes your company as an authority in its respective field, creates lasting connections, encourages engagement, and improves your search engine ranking. All of these components will work together to increase your conversion rate. If your content is not regularly attracting new business, you probably don’t have the right content creation specialist on your team. 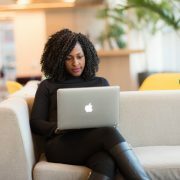 A skilled content creation specialist will ensure that every piece of content establishes authority, creates a connection, encourages engagement, improves SEO, and increases conversion. Content that accomplishes all of these things is crucial to the success of your business. Now that the importance of content creation has been established, you can learn how to create high-quality content for your business by reading How to Continuously Create Compelling Content.